I attended a professional event about three weeks ago and during lunch we were all encouraged to network and get to know one another, most people in the room were lawyers anyway and we were all able to get along fine. Until I ran into a politician who is a PDP card carrying member, not that I belong to any political party neither do I favour one over the other even though we were having lunch in an APC governed State because I believe all Nigerian political parties lack ideology and their members are just in whichever party that best serves their private gains at the moment, a look at how quick they cross from one platform to the other is proof of same. Coincidentally, earlier in our discussions that day, we treated a scenario where one of the parties was labelled a PDP fixer and Mr. PDP was all too glad to tell me how APC was the party of fixers and PDP will save Lagos State from BRF whom he believed was a failure. Now, having lived in Nigeria and witnessed a PDP led national government I was not going to agree with him. Moreover, the blind can see and the deaf can hear about the successes of BRF in Lagos so I was quick to ask my new acquaintance why he felt so strongly. “See my friend, Fashola has not tried at all, APC is sharing 60 % of Lagos State revenue between its party leaders”, but you do not have proof of how 60% of the money made in Lagos is paid into private accounts I said, your statement is based on conjecture and rumours, what about the development of road infrastructure in Lagos I replied. “That’s even worse” quipped Mr.PDP “Fashola has not done anything, I know a street in Maryland where the road is soo bad, you will wonder if we had a government in this state”. “So you will judge BRF as a failure because one road in Maryland has pot-holes I said?” At this point, Mr PDP went on and on about how PDP will construct better roads bla bla bla and right then it occurred to me that as we approach 2015 and after 54 years of existence, some of our national and local politicians are completely unaware of what the country needs at this time. 1. The recognition that Nigeria’s greatest resource is not oil and fertile land but rather the human capital that is left untapped in our over 150 million people, how the beautiful minds of our youth and younger generations will be equipped to take on the challenges that face us as a people. 2. How Nigeria can take its rightful place among the comity of Nations as a global leader. 3. 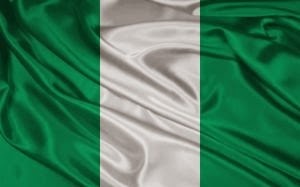 How jobs can be outsourced from the Western countries into Nigeria, a classic example of countries which have achieved this are India and Pakistan where their techies are being employed from countries like the UK and the USA to perform IT related jobs like building websites to other income generating opportunities. 4. How to promote unity and foster cooperation among the warring factions in the country. 5. A well thought out plan to tackling terrorism and insurgency. 6. How to mentally, materially and physically empower our security operatives in other to provide adequate security for the nation. 7. A game plan for uprooting corruption from the hearts and minds of Nigerians. 8. The reformation and enforcement of the rule of law. 9. Economic policies that support entrepreneurship and wealth creation. 10. Writing and promoting the Nigerian dream, the ideology that will bind all Nigerians in sincerity of purpose. 11. Social welfare and legal aid. 12. 30% of youth inclusion when distributing government responsibilities and portfolios. I excluded roads and power generation from the list because we must not allow mediocre politicians to bamboozle us with what is our right, good roads are our rights as Nigerians and not a campaign promise which we must thank the politicians for. If a politician cannot grasp and share how he intends to tackle the above mentioned issues, then he or she is not equipped to rule a dynamic country like Nigeria. Please feel free to include any other thing you believe should be on the list and let’s put these political office seekers to the test. May the best man win.